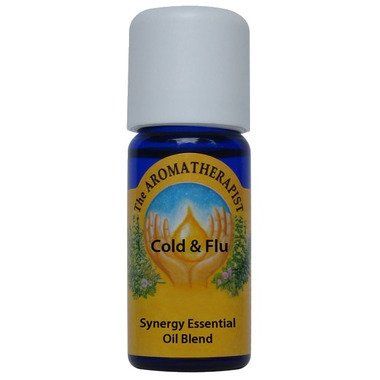 The Aromatherapist Cold and Flu Essential Oil Blend has a fresh, powerful herbal scent. Common Uses: As the name suggests, this blend is made up of oils considered to have strong antibacterial and antiviral properties. It was designed to help you kick a cold or flu quickly and assist your immune system in keeping you healthy during cold and flu season. To gently strengthen your respiratory system all year long, place a few drops of this in your morning shower - inhaling deeply with the steam.